Michael J. Frazier is an associate attorney with Godfrey, Leibsle, Blackbourn & Howarth, S.C. Mike earned his law degree in 1994 from Chicago-Kent College of Law, where he received numerous academic awards and served on the editorial staff of the Chicago-Kent Law Review. 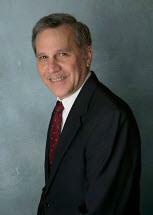 Mike's law practice concentrates in civil litigation, civil appeals, and employment law. Mike has significant litigation experience in a wide range of real estate, commercial, personal injury, and insurance coverage disputes. He also counsels and represents business clients regarding employment issues, administrative investigations, and employment litigation. Mike is licensed to practice law in Wisconsin and Illinois and is admitted to practice in federal courts in both states. He is a member of the Wisconsin State Bar and the Walworth County Bar Association. He is a board member and former president of the Lake Geneva Symphony Orchestra and a member of the Walworth County Arts Council.